If you’ve ever heard the Bill Shankly phrase that there are two teams in Liverpool, Liverpool and Liverpool Reserves, then that’s only because Tranmere Rovers are from a different part of Merseyside. 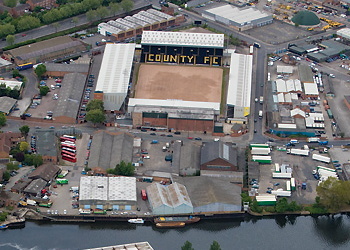 The club is based on the Wirral Peninsula, which is perhaps best known as the place from which the Ferry Across The Mersey starts its journey. Even those with only a vague knowledge of the area may have heard of Birkenhead, which is the closest major town to Prenton Park. 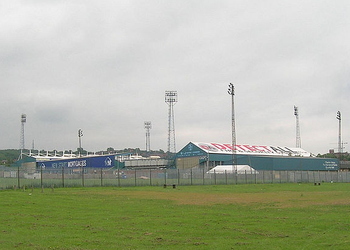 The club was formed in 1884 and during its formative years played its matches at Birkenhead’s Steeles Field. 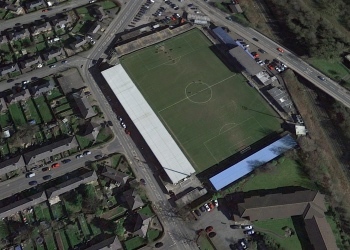 They bought a ground of their own three years later from Tranmere Rugby Club and remained there until 1912 when the area was required for a new school and a housing estate. 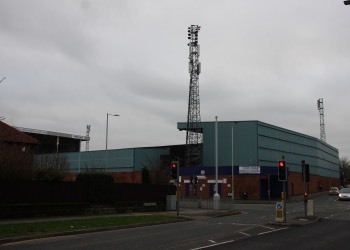 During the early years of Tranmere’s time at Prenton Park they weren’t the only club based on the Wirral, with nearby New Brighton FC forming in in 1921 and playing until the club was dissolved in 1983. Those prices do not include executive seats, which are about twice the price. 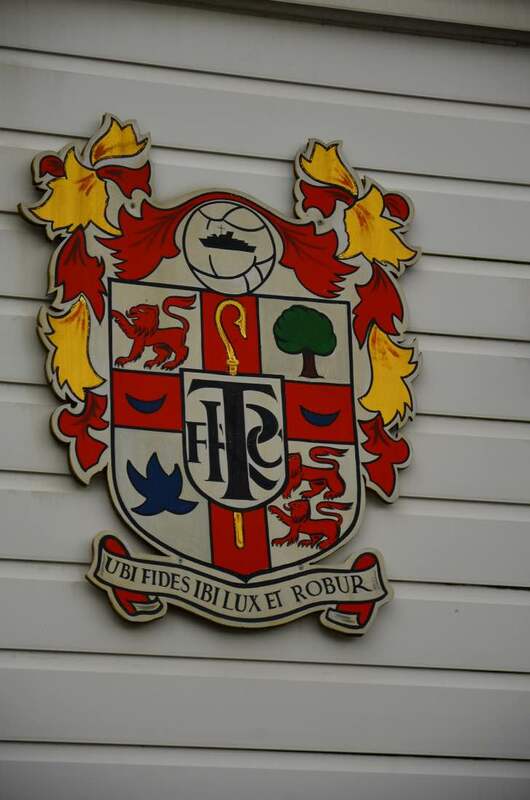 The best way to get tickets for Tranmere Rovers matches is by using the club’s website, if for no other reason than you’ll save money by doing so. Yet the club hasn’t sold out a match at Prenton Park for years, so the likelihood is that you’ll be able to walk up and buy one without too much trouble if you don't mind the surcharge. Train - The closest main train station is Liverpool Lime Street, should you be coming from elsewhere in the country. Once you’re there you’ll be able to get a Merseyrail train towards Chester and alight at Rock Ferry Station, which is about twenty minutes away from the ground. 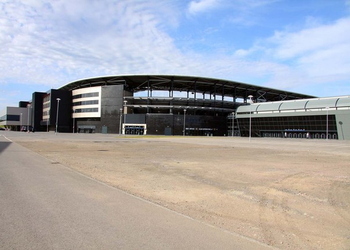 Bus - If you’d rather take public transport then there are a number of buses that stop close to the stadium. 38B, 77, 77A, 83A, 164, 464, 603, 627, 659 659 and TR1 are all ones that will take you within a stone’s throw of Prenton Park. Car - If you’re driving to the Wirral then you’ll need to make a choice: do you want to go over the Runcorn Bridge, along the M56 and M53 or would you prefer to go through Liverpool and one of the Mersey Tunnels? 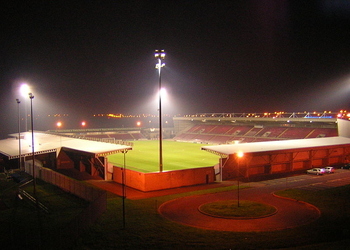 From the M53 you’ll want to take the A552, which runs close to the ground. By Air - Liverpool John Lennon Airport is around twelve miles away and is likely to be your best bet, given that it’s an international airport. There’s also Manchester Airport, which is further afield at closer to forty miles away but is another option for you. Taxi - Getting a taxi from Liverpool Lime Street to will take about fifteen minutes, depending on traffic, and will likely cost in the region of £20. 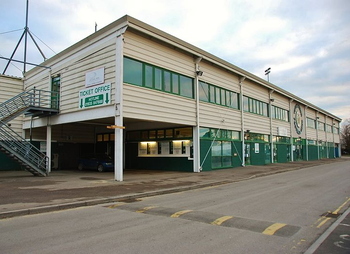 There’s a decent-sized car park at Prenton Park which costs £5 on a match day. If you’d rather park on the streets nearby then you can do, but do be aware that there are likely to be restrictions in place to favour local residents. The Campanile is based over the water in Liverpool, so you’ll need to bear that in mind when arranging your travel to the ground. Nevertheless, it’s worth considering as a stop off point as it’s got over one hundred rooms, a restaurant and a bar area. There’s also WiFi in the reception area and a meeting room, should you need to do some work whilst you’re in the hotel. Finally, there’s free parking for people staying in the Campanile, which makes that aforementioned journey to the Wirral a bit easier if you’re driving. The Village offer a chain of hotels that don’t break the bank but offer plenty of exciting facilities. The one on the Wirral has a gym, swimming pool, restaurant and café, meaning that you’ll barely have to leave the place to have an fun time. There are one hundred and seventeen rooms, and a terraced area and business centre with meeting rooms. There’s also free WiFi, so if you’re heading over and need to do some business then you’ll be able to do that. There’s a large car park if you’re driving and the journey to Prenton Park is relatively straightforward. This is the closest hotel to the stadium, being based less than a mile away. It’s not the largest place on the list, given that there are just fourteen rooms, but there’s a restaurant that serves breakfast, and a lovely garden which is a nice place to spend time if the weather’s good. There’s free WiFi if you want to use it, plus free parking for those of you in a car. The rooms are spacious and well-decorated, so there’s loads to look forward to about your time staying here. More details. You’re never going to go too far wrong by picking a pub with ‘Sports’ in the title if you’re hoping to watch some live. The Sportsman’s Arms is open until midnight seven nights a week, with a menu that will keep you around enjoying the food until they won’t serve it any more. There are also all of the usual drinks that you’d expect from a decent pub, plus there are six large flat screen TVs dotted around the place for whatever live event people want to watch. 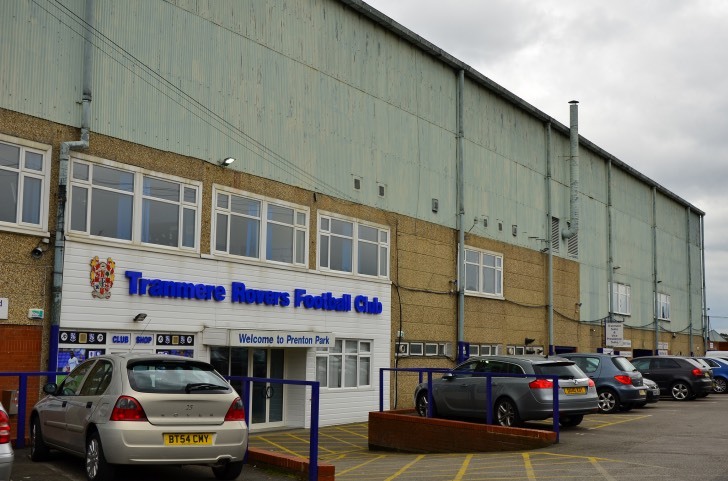 The best news of all is that it’s only a short walk from Prenton Park, should you want to see the early kick-off before heading to see Tranmere play. 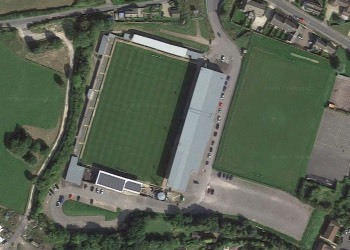 If you can’t find a pub with ‘Sports’ in the title then the next best bet is one with the name of the ground in it. Prenton Park Hotel has a number of things that will appeal to you, including the fact that it hosts an open mic night every Wednesday, live bands on a regular basis and has an excellent beer garden for when the weather’s nice. 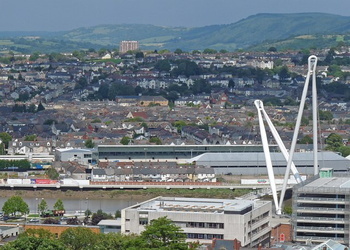 It’s located virtually in the shadow of the football ground that it shares its' name with, so walking to see the match won’t be a problem... unless you have far too much to drink. You might be tempted to, given the cheap prices of booze and the multiple options available. Thankfully they also have a decent menu to help you soak it all up, plus loads of screens to watch sport on. If you can’t find an Irish bar then the next best bet for having a good time and watching some live sport is a German one. The Bierhaus is more of a party place than a typical pub, so don’t expect to be able to get any food to eat here. Instead you’ll find they serve steins of beer and tasty cocktails late into the night. They always show the biggest live sporting events on the big screens they’ve got around the place, followed straight after by some live music or DJ sets. Only open on Thursdays, Fridays and Saturdays, this is the venue to head to if you consider yourself to be a bit of a party animal. 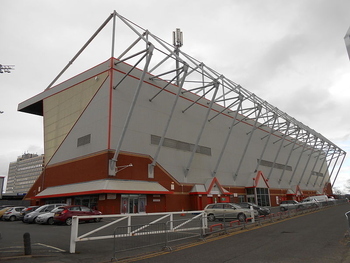 Prenton Park offers all of the facilities that you’d expect from a stadium in the English Football League system, including areas to grab a drink or a bite to eat. It’s not as if it’s Premier League quality, but there’s everything you could need for your match-going experience. There are a number of decent hospitality options available to you if you want to experience a Tranmere match in style. You might want to start at the Platinum Suite, where you can enjoy a three-course meal pre-match as well as drinks and access to the lounge after the game. There are other options like the The Media Suite for up to 20 guests and a table football game for half time, should you be keen on something different. The quality of the suites and boxes at Prenton Park are excellent, having been updated in 2015, meaning that it’s a top-quality place to host meetings and conferences if you’re looking for somewhere to do that away from the brighter lights of Liverpool city centre. 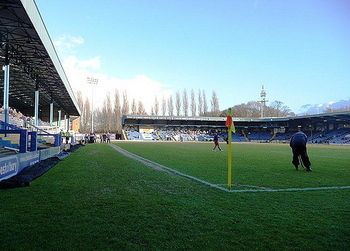 At the time of writing, tours of Prenton Park are not available. It’s possible that this will change in the future. 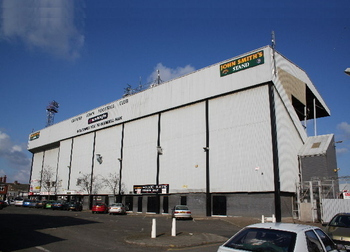 Tranmere Rovers have, in many ways, suffered by always being under the shadow of the two major clubs on the other side of the Mersey, Liverpool and Everton. The club was formed in 1884 with the name Belmont Football Club, changing to Tranmere Rovers the following year. 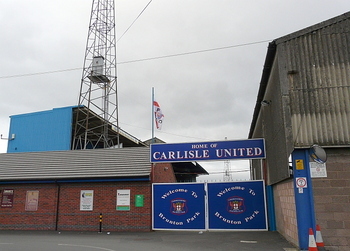 Having been a founding member of Division Three North when it was created in 1921, the club remained in the Football League system until it was relegated to the fifth tier in 2015. 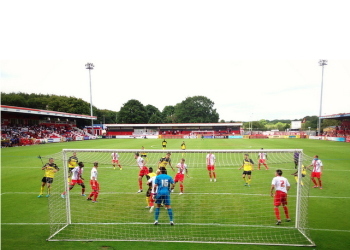 They beat Boreham Wood in the National League Play-Off final three years later, returning to the Football League. 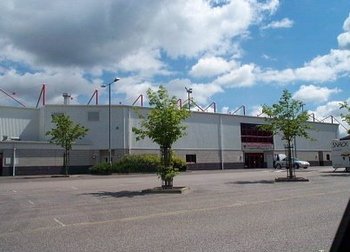 The drop out of the league system was an indirect result of years of mismanagement, including the club suffering from financial issues in the 1980's that saw them go into administration. 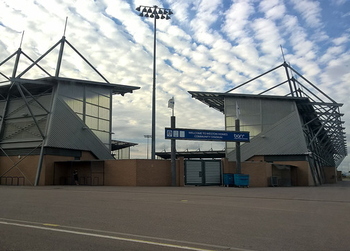 They did bounce back from those financial issues and reached the second-tier Play-Offs for three consecutive years after the turn of the millennium. 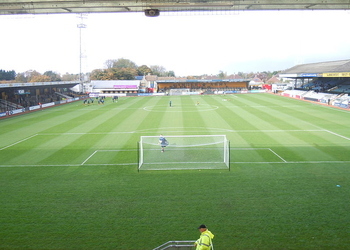 That period came under the management of John King, who one of the stands was later named after. 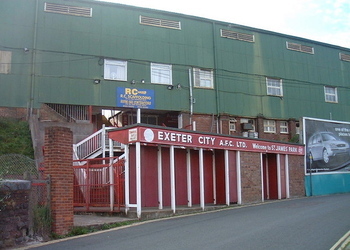 Unfortunately the club’s history is littered with what might have been's. They failed to make the top-flight and also got close to cup wins under the next manager, John Aldridge, but lost the League Cup final to Leicester City in 2000. They also reached the quarter-finals of the FA Cup in 2000, 2001 and 2004, losing to Newcastle United, local rivals Liverpool and Millwall respectively. 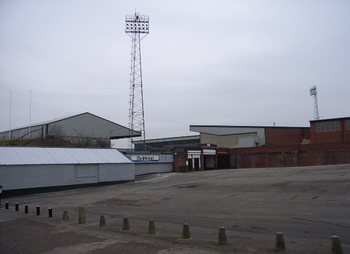 When Tranmere Rovers bought their first stadium from Tranmere Rugby Club in 1887, it was referred to as the Borough Road Enclosure, Ravenshaw's Field and South Road until someone wrote in to the local paper, the Football Echo, and suggested calling it Prenton Park. 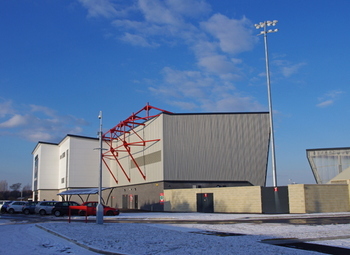 When the club moved to the current ground, they took the name with them. 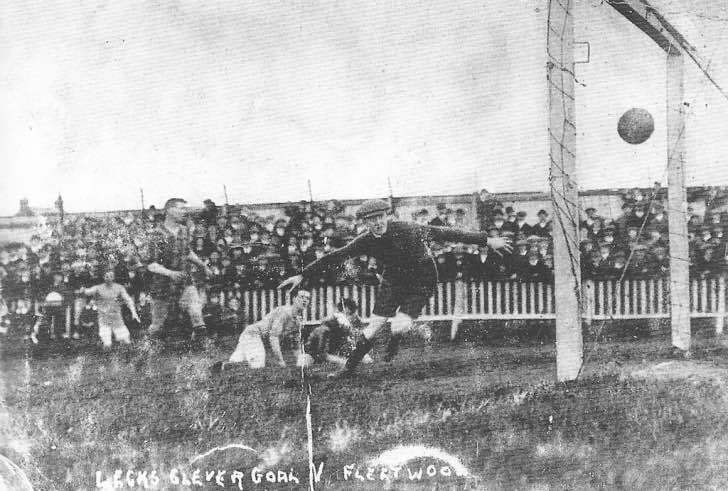 The stadium was opened by Councillor George Proudman, the Mayor of Birkenhead, on the 9th of March 1912, and the club has remained there every since, though it’s undergone numerous different alterations over the years. 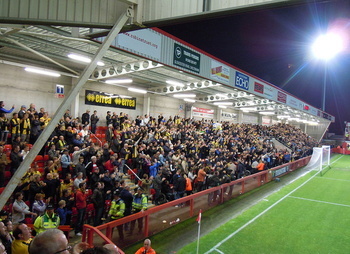 As with most grounds around the country, the biggest alterations came in response to the Taylor Report in the 1990's that required all English stadiums to become all-seater venues. 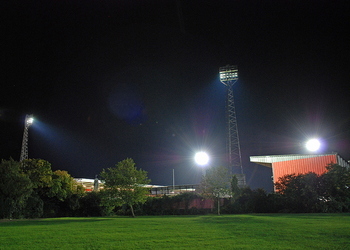 Earlier changes included the installation of floodlights in 1958, which might not seem all that important but it allowed the club to play games on Friday nights. 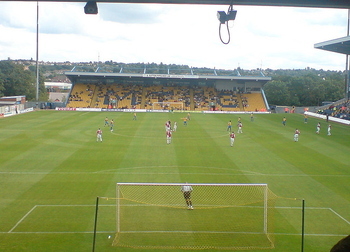 That, in turn, allowed supporters to watch the lower league side before heading to watch either Liverpool or Everton on the Saturday; a practice that continued until the 1990's. Numerous other changes occurred during that time, though most of them were driven by alterations in the law. It was rarely cheap for the club to do, however, and that links back to those financial issues mentioned before. 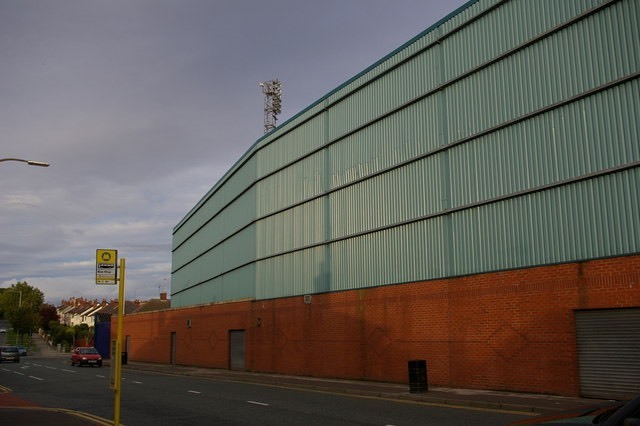 The two best teams in Liverpool might not be Liverpool and Liverpool Reserves, but the latter did move to Prenton Park in 2009 and continued to play their football there in the years that followed. 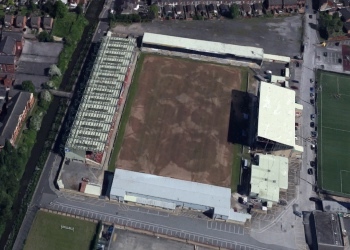 Major changes were made to the executive areas of Prenton Park in 2015, coming a year after Wirral Council’s decision to make the ground a community asset. Those changes mean that some developments may be planned, but there’s nothing major in the diary at the time of writing.